Boao Forum for Asia (“BFA”) was held on March 26 to 29, 2019. Its sub-forum — 5G: The achiever of Internet of Things — talks about the 5G development. The participants of this forum believed 5G development should be open, cooperative, globally unified and integrated with existing industrial facilities. Miao Wei, the Minister of the Ministry of Industry and Information Technology (“MIIT”), said at BFA that the MIIT and Ministry of Transport (“MOT”) had reached a consensus that the government would devote itself to promoting the research on vehicle networking, and speeding up the intelligent and digital revolution on the highways in China. Yang Chaobin, president of Huawei 5G product line, introduced that Huawei started 5G research in 2009. In this process, the industry reached a consensus on the ability of 5G network. There are three global standards in the era of 3G and two in the era of 4G. Until 5G, the global standard was finally unified. The benefits of uniform standards for industrial development and various applications are self-evident. The first standard of 5G resolved the security problem of 5G structure. In the next 10 years, the infrastructure and application innovation in the field of mobile communication will be developed around 5G. In Miao’s opinion, the application of 5G should be divided into “two eight”, that is, the communication between people takes 20% and the communication between things takes 80%. Among them, one of the biggest markets of mobile Internet of Things is probably the vehicle networking, which represents the application of 5G technology, especially by automatic vehicles. It is not the first time for Chinese governments to put their efforts into the innovation and development of intelligent connected vehicles. On January 5, 2018, the National Development and Reform Commission publicly solicited opinions on the “Innovative Development Strategy of Intelligent Vehicle” (draft for comments). According to the draft, the following will be basically established by 2020, namely the technical innovation, industrial ecology, road network facilities, regulatory standards, product supervision and information security system framework of China’s standard intelligent vehicles. The proportion of new intelligent vehicles will reach 50%, and the construction of intelligent roads transportation system will make positive progress. The coverage rate of vehicle wireless communication network (LTE-V2X) in large cities and highways will reach 90%, and Beidou high-precision space-time service will realize full coverage. By 2025, the above mentioned items will be fully formed. The new vehicles will be basically intelligent, and the high-level intelligent vehicles will realize large-scale application. “People – Vehicle – Road – Cloud” will achieve high synergy, and the new generation of vehicle wireless communication network (5G-V2X) will basically meet the needs of intelligent vehicles’ development. By 2035, China’s standard intelligent vehicles will have a worldwide reputation, and they will have taken the lead in building an intelligent vehicles powerhouse, sharing the “safe, efficient, green, and civilized” intelligent vehicles society. During this year’s BFA, people had a glimpse of the achievements of new technology application in China by experiencing the intelligent network automobile service. We can say with confidence that with the supporting infrastructures on the way, China will further speed up the commercialization of the intelligent network automatic vehicles. 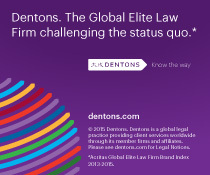 Henry Chen, licensed to practice law in China and New York, is a senior partner in Dentons’ Shanghai Office. Before joining Dentons, Henry was AP Compliance Director of Ford. Henry is the legal counsel of one of the biggest Internet search engine companies for its autonomous driving projects covering data integrity and security, protection of commercial secrets under the context of cyber security, compliance with Cyber Security Law, autonomous survey and mapping, privacy, risk management on autonomous driving accidents and car call-back, risk management on network penetration and safety. In addition to TMT areas, Henry also handles traditional compliance issues on FCPA, anti-fraud investigation, compliance management system, corporate matters and dispute resolutions. The Driverless Commute: Is 2019 a bear turn for AVs? ; the fight over connected car communication divides car makers in Europe; cheaper, lighter LiDAR and machine-learning for lane-keeping.